So, it’s my third vegan cheese review in as many weeks. 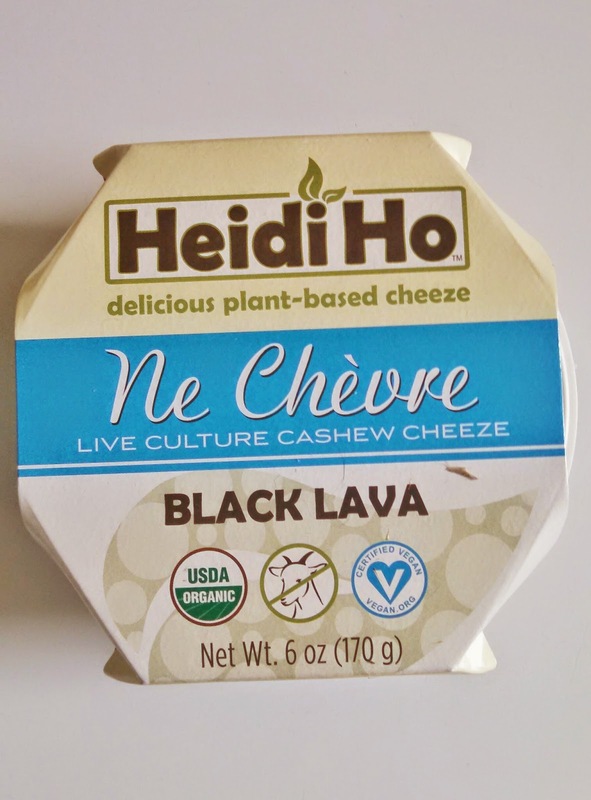 I feel like I’m turning into a blog about vegan cheeses! It’s pretty funny, you’d think my fridge is stocked to the brim with vegan cheese. But no, I rarely have them in my fridge, so enjoy the reviews while they’re here! When I saw Heidi Ho on the shelves at Whole Foods, I scooped up a tub without even thinking about it. I’ve heard people talking about their nacho chia cheese for a while now, and in general, I really like the ingredients that they use in their products. Potatoes, chia, blueberries, turnips. Wholesome. I’d say this cheese is in the same vein as Punk Rawk Labs or Treeline cheese. They are all cultured cheeses made with cashews, and they’re spreadable (though Treeline does have delicious hard cheeses, too). This chevre is tangy, creamy, and nutty, and I love the crunch from the layer of crushed hazelnuts. I tried this cheese out two ways: spread on multi-grain rice crackers and in a pasta dish. The former was a nice way to really taste the cheese and all that it had to offer. There weren’t any competing flavors and really not much in the way of complementary flavors either. It was a great neutral way to try it. The latter was an idea I had on whim. All the best ideas happen this way, right?! I actually came up with it before I even tasted the cheese. I just wanted some linguine with broccoli and chevre. I asked my partner to pick up some brown rice pasta on the way home, and he did me one better. 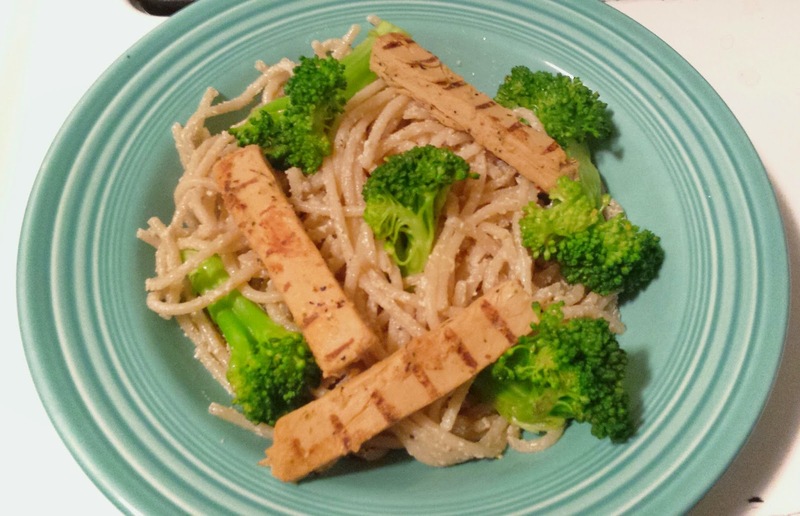 Along with the pasta, he picked up a package of Beyond Meat chicken strips. It was a great addition to the dish! I simply cooked the pasta, steamed the broccoli, and dry-fried the chicken strips. I didn’t want to cook the cheese since it had live cultures in it, so once the pasta was cooked, I stirred in the chevre. The verdict? I thought it was a really great meal. There wasn’t much hands on time, so it’s also a dinner that a busy person could whip up in no time. Fine dining at home with ease. He says that it’s the closest vegan thing to fettuccine alfredo that he’s tasted. Another win in the kitchen! 100 Days of Meditation: Challenge Complete?